Now that the winter is in full swing and the flu season is here again, let’s discuss how to avoid flu naturally, and also what is important for recovery in case you do get sick. Unlike a common cold, flu carries a risk of serious complications, such as upper respiratory infection, bronchitis, and pneumonia, and also worsening of chronic health conditions, which may lead to a prolonged illness, hospitalization, and in some cases even death. The most vulnerable among us are babies, young children, pregnant women, elderly, and anyone with a chronic disease – that means those with either a weakened immune system or not completely developed immune system. Finding out what may create a favorable environment for the flu virus to take hold, and strengthening the immune system are both key to avoiding flu. 1. Avoid oxidative stress in the throat, nasal passages, and lungs. Research has shown that oxidative stress in the nasal passages, throat and lungs increases vulnerability to the flu virus and increases recovery times. 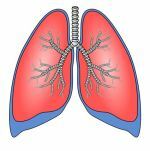 Such challenges as cigarette smoke (either in smokers themselves or those who breath in the second-hand smoke), fuel exhaust, and breathing in extremely cold air all contribute to elevated oxidative stress in our airways. For example, one study concluded that in human respiratory epithelial cells oxidative stress generated by diesel exhaust increases the susceptibility to flu infection, and that exposure to it increases the ability of the virus to attach to and enter respiratory epithelial cells. (Diesel exhaust enhances influenza virus infections in respiratory epithelial cells. Jaspers I, Ciencewicki JM et al. Toxicol Sci. 2005 Jun;85(2):990-1002). Other “offenders” are fumes from indoor insecticides, bleach and cleaner fumes, laundry detergent and fabric softener perfumes that are a cocktail of dozens of chemicals. Cover your nose and mouth with a scarf when exposure cannot be avoided. Switch to natural, odor free laundry detergents and cleaners. 2. Wash hands often with natural (not antibacterial) soap. It is important to wash your hands thoroughly throughout the day. Use mild, natural soap, such as castile soap, which is more than enough to wash away germs and bacteria. Avoid antibacterial soaps because triclosan, the most common active chemical ingredient, seeps into your bloodstream through your skin, and you have to use more glutathione to detoxify it. If you use hand sanitizers, switch to a natural one that uses essential oils as main disinfecting ingredients (for example, thyme and oregano). Carry natural disinfecting wipes with you for the times when water and soap are not available, for example, to wipe the handle of a shopping cart. In a nutshell, to avoid flu keep your hands away from your face, nose and mouth. If you absolutely have to scratch inside of your nose, use a tissue. As I mentioned above, cracked lips provide an extra entry way to viruses and germs. In addition to not licking or plucking your lips, use natural lip balm frequently to moisturize the lips, prevent and heal the cracks if any. Coconut or olive oil based lip balms are the safest and very effective. It is impossible to live an isolated life as we all have to go to work, travel, participate in various activities outside workplace and home, and simply be sociable. However, we can limit our exposure to viruses and avoid flu by keeping distance at 3-4 feet when talking to someone, avoiding overcrowded elevators (stairs exercise, if not going to the 30th floor, of course), shopping online (even grocery stores deliver these days), and reducing the number of trips to the movies and restaurants (the added bonus of savings can be directed to optimizing glutathione – see below). Rest and sufficient amount of sleep in complete darkness are very important for proper detoxification and necessary repairs on a cellular level. Complete darkness is needed for the production of a powerful antioxidant melatonin which, among its other functions, helps keep up the levels of glutathione at night to do all the detox and repair work. A strong immune system identifies and destroys pathogens, including a flu virus, and prevents it from taking hold if the virus happens to enter the body. A strong immune system also speeds up recovery if you do get sick, and can prevent flu complications or reduce their severity. In one study 262 elderly subjects (62% had non-respiratory degenerative diseases) were enrolled in a study that investigated glutathione raising therapy in flu prevention and treatment. In the glutathione therapy group only 25% of participants got flu compared to 79% in a placebo group, developed half to one third of the symptoms and recovered much faster than the sick participants in the placebo group. (Attenuation of influenza-like symptomatology and improvement of cell-mediated immunity with long-term N-acetylcysteine treatment. De Flora S, Grassi C, Carati L. Eur Respir J. 1997 Jul;10(7):1535-41). Another study on cell culture concluded that "oxidative stress or other conditions that deplete GSH in the epithelium of the oral, nasal, and upper airway may, therefore, enhance susceptibility to influenza infection". (Inhibition of influenza infection by glutathione. Cai J, Chen Y. Free Radic Biol Med. 2003 Apr 1;34(7):928-36). Strengthening the immune system consists of several components which work synergistically to help you avoid flu, and in the long run – chronic disease. All these components discussed below ultimately support glutathione production and help maintain optimal levels of this crucial molecule. Adequate glutathione levels are critical for the effective and fast immune response in order to avoid flu. 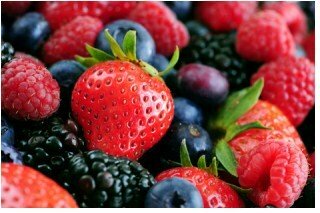 Antioxidants fight oxidative stress that creates inflammation, lowers glutathione levels and weakens the immune system. It is important to keep up the consumption of antioxidant rich foods, include new ones in your diet regularly, and eat more foods and spices that stimulate production of your master antioxidant glutathione: broccoli, Brussels sprouts, cauliflower, cabbage, raw garlic, cinnamon, turmeric, cardamom. Natural chemical compounds in these foods stimulate Nrf2 factor which in its turn activates our antioxidant response by increasing the expression of our antioxidant genes, including the genes that “tell” the cells to make more glutathione. Glutathione is your master antioxidant. It protects the cells of the immune system from oxidative damage and death from the very moment of their creation, through their growth, maturation, and work on eliminating viruses, thus helping us to avoid flu. Stimulating glutathione production with antioxidants will not be effective if your cells lack raw material to make this molecule: three amino acids glutamate, glycine and cysteine. Cysteine is considered a crucial precursor and a rate-limiting factor of how fast and how much glutathione cells can make. Since food sources of bioavailable cysteine are scarce (because of pasteurization and cooking) and it is preferentially used for synthesis of various proteins rather than glutathione if only limited amounts are available, such very effective supplements as undenatured whey protein or NAC (n-acetyl-cysteine) can be useful in optimizing glutathione levels. NAC is popular for its effectiveness in providing cysteine to raise glutathione and its low price, but I do not favor it because it is not found in nature and is a synthetic cysteine delivery system, is not suitable for everyone, has a whole list of possible side effects, interacts with certain medications, not advisable for children and pregnant women, and ideally should be taken under medical supervision, especially if there is a chronic disease present. Undenatured whey protein, on the other hand, is a natural product isolated from basic food, milk. It provides all three glutathione precursors in ample amounts, not just cysteine, plus all other amino-acids, in highly bioavailable and easily digestible form, can be taken by almost anyone including newborn babies, and is suitable for long-term use. More information on undenatured whey protein can be found on our page here. Glycine is next in its importance as the amount available for glutathione production may be limited by the condition and composition of the gut flora. One recent study in Sweden showed that the health of our gut flora plays a role in regulating the manufacture of glutathione through the availability of glycine because certain gut bacteria consume it. The best food sources of glycine are traditional homemade chicken and beef bone broths, powdered gelatin, all meats, eggs, whey protein, dairy, and to a lesser degree sesame and pumpkin seeds, almonds, and flaxseed. Glutamate is abundant in foods of animal origin, and protein rich plants, and also can be converted from amino acid glutamine (also present in bone broths), so its availability for glutathione synthesis is not a concern. We coexist with an estimated 100 trillion bacteria, both beneficial and harmful, living in our gastrointestinal tract outnumbering our own cells. And scientists are only beginning to discover in what ways and to what extent these bacteria are able to influence our health, but it is well known now that our gut microbiota helps digest food and thus facilitates the absorption of nutrients; produces vitamins K, B7, B12, the latter being a crucial glutathione cofactor; helps fight infections and suppress bad bacteria in the GI tract and other organs; helps keep the immune system healthy. For example, the above-mentioned research from Sweden shows that gut microbiota regulates glutathione metabolism and amino acid metabolism of the host, and not only in the small intestine (where amino acids are absorbed into the bloodstream), but also in the liver and the colon. "Some bacteria in our gut consume glycine, which is required for the synthesis of glutathione, and imbalances in the composition of the bacteria may lead to the progression of the chronic diseases," according to A. Mardinoglu, the first author of the paper. Dysbiosis is the state of gut flora when beneficial bacteria are outnumbered by harmful bacteria which may lead to a weakened immune system. Good bacteria are vulnerable to antibiotics and other medications, alcohol, heavy metals, overuse of antibacterial personal care products, household chemicals including those in toothpastes, artificial food coloring, and a lack of prebiotics in the diet (nutrients that nourish good bacteria). Any surgery, especially those performed on the GI tract, can throw the gut flora off balance, too. Store bought yogurts and milk kefir – opt for plain versions and avoid additives, such as aspartame and carrageenan. Commercial foods usually provide only 3-4 strains of beneficial bacteria which is not really enough to restore gut health, but better than nothing. Traditional, homemade fermented foods and drinks, such as sauerkraut and other fermented vegetables, milk kefir, water kefir, kvass, and kombucha. These cultured foods and drinks contain numerous strains of beneficial bacteria with various sub-species in each strain. 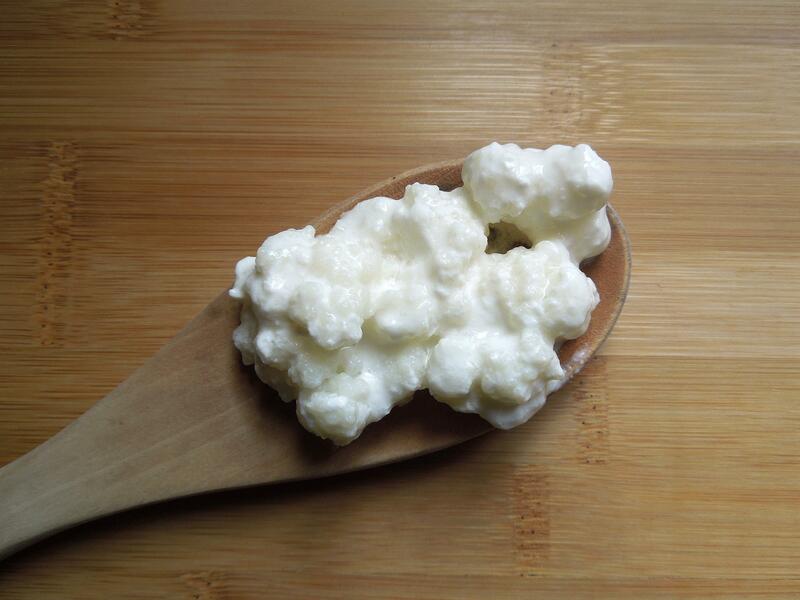 We've been making our own milk kefir for 5 years now, and recently added water kefir too. Starter cultures (called milk and water kefir grains) can be easily found online or at local farms. A high quality probiotic supplement that contains prebiotics (nutrients for the good bacteria). Optimal levels of selenium may help you avoid flu and decrease the odds of flu complications in case of an illness. Benefits of selenium for immune response include improved lymphocyte proliferation, stimulation of antibody production and increase in the activity of the helper T cells, cytotoxic T cells and natural killer (NK) cells boosting both the cell-mediated and humoral immunity. Also, selenium is one of several glutathione cofactors as it plays a crucial antioxidant role as part of the enzyme glutathione peroxidase (GPx). One study investigated the plasma and erythrocyte selenium levels and various oxidant/antioxidant parameters in H1N1-infected children during the 2009-2010 flu pandemic (H1N1 virus is a subtype of the influenza A virus). Compared to the control group selenium deficient children had an 18% drop in total glutathione levels, a 10% decrease in plasma glutathione levels, antioxidant enzymes glutathione peroxidase 1 and glutathione peroxidase 3 were 45% and 16% lower respectively, total SOD 42% lower, and a 38% decrease in erythrocyte CAT. At the same time the marker of inflammation C-reactive protein increased 245%, and plasma lipid peroxidation went up 27%. (Selenium levels, selenoenzyme activities and oxidant/antioxidant parameters in H1N1-infected children. Erkekoglu P1, Asci A. Turk J Pediatr. 2013 May-Jun;55(3):271-82). Another study noted that selenium deficiency has a significant impact on the influenza-induced defense responses in human airway epithelial cells. (Selenium deficiency alters epithelial cell morphology and responses to influenza. Jaspers I, Zhang W. Free Radic Biol Med. 2007 Jun 15;42(12):1826-37). Good dietary sources of selenium include Brazil nuts, organ meats, muscle meats, poultry, fish, oysters, rolled oats and wheat flour. Zinc is one of the most important nutrients for the immune system and resistance to infections: zinc regulates and stimulates the activity of T lymphocytes, natural killer cells and phagocytes (immune cells that ingest harmful bacteria, dead cells and pathogens), as well as special CD4 proteins on the cell surface that help the immune system fight disease. One of the crucial benefits of zinc for our antioxidant defenses is that it is a structural component of the enzyme copper-zinc superoxide dismutase (CuZn-SOD). This enzyme neutralizes toxic superoxide that our immune system deploys against various pathogens both inside and outside the cells. Superoxide poses a danger to the neighboring healthy cells and must be neutralized before damage occurs. Properly and promptly functioning SOD eliminates the damage to the cells which would have impaired glutathione production in these cells resulting in their death. Zinc is also a cofactor of glutathione production – it influences the expression of the enzyme glutamate-cysteine ligase (GCL), the first enzyme that initiates the formation of a glutathione molecule by joining glutamate and cysteine. Best foods high in zinc are oysters, crab meat, red meats, organ meats, beans, nuts, seeds, grains and eggs. Animal sources of zinc are considered superior and more bioavailable than zinc from plant sources because plants are high in phytates and oxalates which bind zinc and significantly reduce its absorption rates. Vitamin D, the sunshine vitamin, is crucial for a properly functioning immune system, normal cells growth and maturation (including the cell of the immune system), for controlling infections, and maintenance of optimal glutathione levels. Flu season falls on the months of November-March when the vitamins D levels in population are lower due to the lack of sun exposure. One study that reviewed vitamin D levels in 198 healthy adults determined that those with optimal vitamin D levels (38 ng/ml) had a 50% reduction in the risk of developing acute respiratory tract infections and a considerable reduction in the number of days being ill. (Serum 25-hydroxyvitamin d and the incidence of acute viral respiratory tract infections in healthy adults. Sabetta JR, DePetrillo P et al. PLoS One. 2010 Jun 14;5(6):e11088). In another study conducted in Japan vitamin D supplementation in children (1,200 IU a day for 3 months during winter) decreased their chances of contracting influenza type A virus compared to placebo. (Randomized trial of vitamin D supplementation to prevent seasonal influenza A in schoolchildren. Urashima M, Segawa T et al. Am J Clin Nutr. 2010 May;91(5):1255-60). Vitamin C is the most popular “tool” in the flu prevention and recovery from illness. It is because vitamin C is a powerful antioxidant, plays a vital role in immune function, and is a glutathione cofactor. It is recycled by glutathione back to its active form, and also helps glutathione to function properly. Vitamin C has been shown in studies to temporarily improve glutathione levels at a dose of 500 mg/day. Vitamin C also recycles another major antioxidant vitamin - vitamin E, and alpha lipoic acid, both being important glutathione cofactors as well. Ascorbic acid is not the best supplemental source of vitamin C – it is highly acidic and in some people may lead to acidosis, and the majority of it is produced from GMO corn. Much better supplemental natural vitamin C comes from plants with exceptionally high vitamin C content – acerola cherry, camu camu, and rose hips powders or capsules. The best food sources are red and yellow bell peppers, papaya, strawberries, kiwi, oranges, raw kale, broccoli and cabbage. There are several trials that showed that the ability of neutrophils (type of white blood cells) to engulf and ingest bacteria, fungi and other pathogens dropped almost 50% in blood samples of human volunteers after consumption of 100-gram doses of various simple sugars, such as glucose, fructose, sucrose, honey and orange juice. This immuno-suppressing effect lasted for several hours (Role of sugars in human neutrophilic phagocytosis. Sanchez A, Reeser JL, Lau HS, et al. Am J Clin Nutr. 1973 Nov; 26(11):1180-4). One cup of orange juice, for example, contains 26 g of sugar on average. In another, similar study researchers concluded that “acute, short-term hyperglycemia affects all major components of innate immunity and impairs the ability of the host to combat infection” (Acute hyperglycemia and the innate immune system: clinical, cellular, and molecular aspects. Turina M, Fry DE et al. Crit Care Med. 2005 Jul;33(7):1624-33). High sugar consumption creates a favorable environment for a flu virus to take hold in the presence of a weakened immune response. Sugar also promotes the growth of harmful bacteria in the GI tract and other organs leading to dysbiosis which suppresses the immune system even further. To avoid flu watch out for these in your diet – refined sugar, high fructose corn syrup, maple syrup, agave syrup, molasses, honey which are added to many highly processed, packaged foods, even natural and organic ones; all juices, sodas, sports drinks and other commercial drinks; and fruit with very high sugar content: grapes, bananas, oranges, pineapples, and all dried fruits – it does not mean you need to exclude these fruits from your diet completely, but they should be limited in favor of less sugary ones and in favor of vegetables. Although we are not usually as thirsty in winter as in summer, drinking enough water throughout the day is very important for all the metabolic processes to occur and the wastes removed promptly. It is generally recommended to drink 7-10 cups of water a day. Water kefir mentioned above is an excellent way to stay hydrated and add probiotics at the same time. As always, consult a doctor before taking any supplements or making changes to your diet. 1. Exposure to combustion generated environmentally persistent free radicals enhances severity of influenza virus infection. Lee GI, Saravia J. Part Fibre Toxicol. 2014 Oct 30;11:57. 2. Cigarette smoke extract suppresses the RIG-I-initiated innate immune response to influenza virus in the human lung. Wu W, Patel KB et al. Am J Physiol Lung Cell Mol Physiol. 2011 Jun;300(6):L821-30. 3. Diesel exhaust enhances influenza virus infections in respiratory epithelial cells. Jaspers I, Ciencewicki JM. Toxicol Sci. 2005 Jun;85(2):990-1002. 4. Inhibition of influenza infection by glutathione. Cai J, Chen Y, Seth S et al. Free Radic Biol Med. 2003 Apr 1;34(7):928-36. 6. Attenuation of influenza-like symptomatology and improvement of cell-mediated immunity with long-term N-acetylcysteine treatment. De Flora S, Grassi C, Carati L. Eur Respir J. 1997 Jul;10(7):1535-41. 7. The effects of dietary selenium on the immune system in healthy men. Hawkes WC et al. Biol Trace Elem Res. 2001 Sep;81(3):189-213. 8. Selenium deficiency alters epithelial cell morphology and responses to influenza. Jaspers I, Zhang W. Free Radic Biol Med. 2007 Jun 15;42(12):1826-37. 9. A nutritional supplement formula for influenza A (H5N1) infection in humans. Friel H, Lederman H. Med Hypotheses. 2006;67(3):578-87. 10. Antioxidant therapy as a potential approach to severe influenza-associated complications. Uchide N, Toyoda H. Molecules. 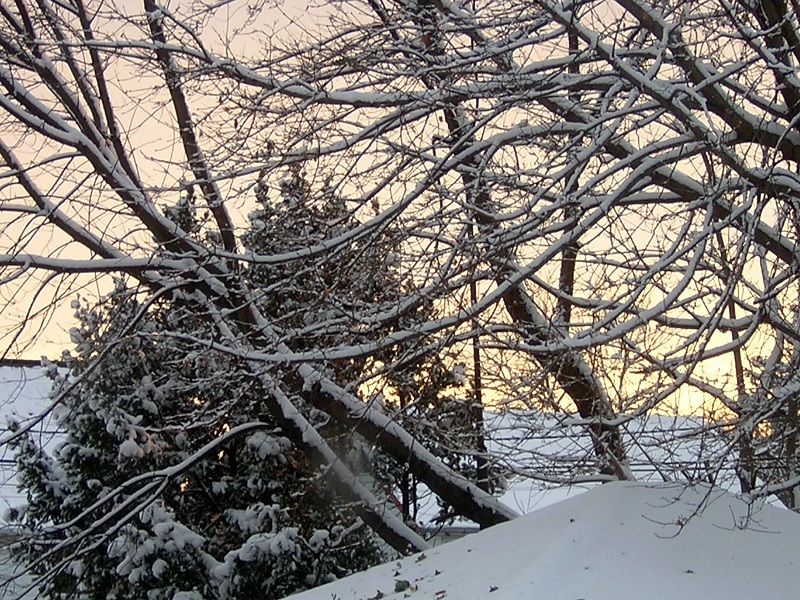 2011 Feb 28;16(3):2032-52. 11. Potentially-toxic and essential elements profile of AH1N1 patients in Mexico City. Moya M, Bautista EG et al. Sci Rep. 2013;3:1284. 12. Selenium levels, selenoenzyme activities and oxidant/antioxidant parameters in H1N1-infected children. Erkekoglu P, Asci A et al. Turk J Pediatr. 2013 May-Jun;55(3):271-82. 13. "Vitamin D and Influenza" at Vitamin D Council. 14. "Bone Broth — A Most Nourishing Food for Virtually Any Ailment" by Dr. Mercola. 15. Chalmers University of Technology. (2015, November 6). Gut microbiota regulates antioxidant metabolism. ScienceDaily. Retrieved January 26, 2016. 16. "Glutathione. Your Key To Health" by Dr. Jimmy Gutman.